On April 25, 2015, a massive wall of ice and rock tore through Langtang Village after the earthquake struck. The immense force of the landslide even flattened trees on the opposite side of the valley. The landslide left a rough, grey scar on the land; now a reminder of the power of the earth and the resilience of Langtang residents rebuilding nearby. 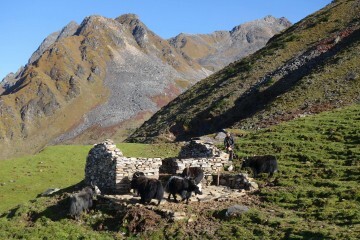 The Langtang Valley is experiencing slow economic and infrastructural recovery from the devastating earthquake. 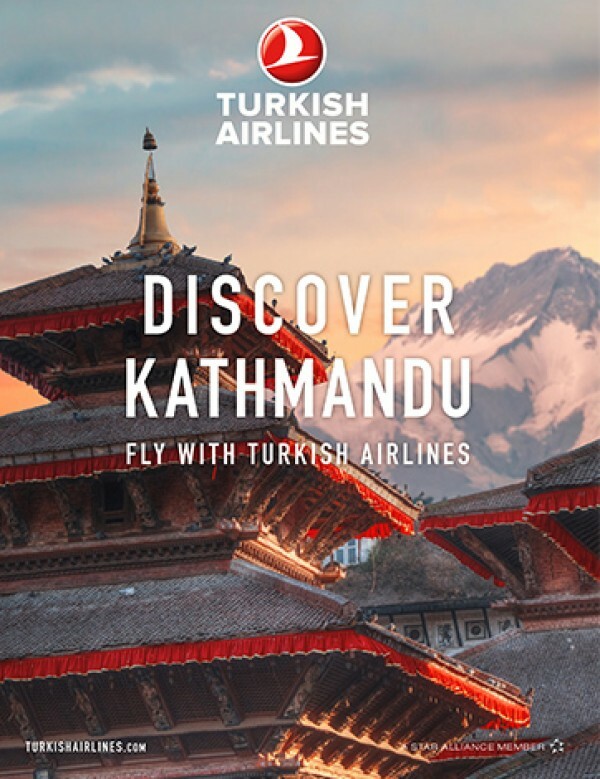 Nonetheless, it remains an excellent place for visitors to learn about Tibetan Buddhist traditions, see incredible mountain views, and try local foods on the Langtang trek. 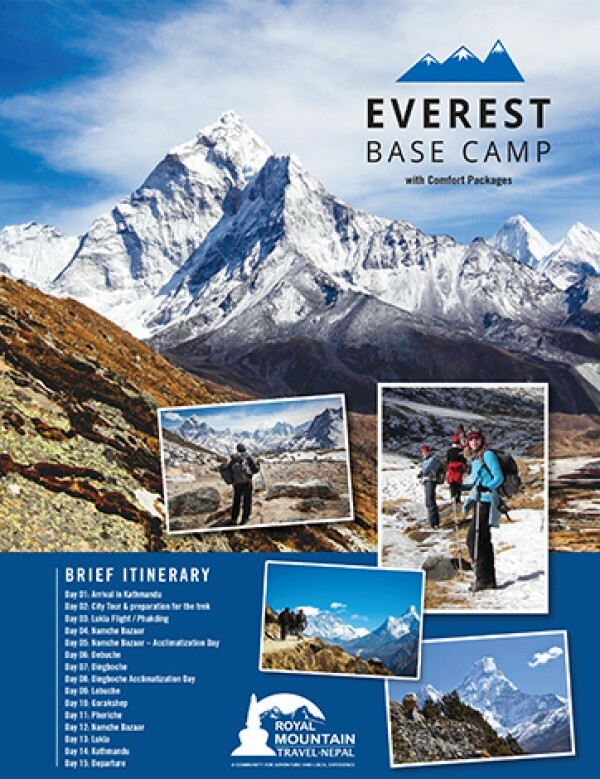 While the Langtang trek is not very strenuous, the road to get there is not easy. Our mid-September trek began with a bumpy day-long jeep drive from Kathmandu to Syabrubesi, the usual starting point for the Langtang trek. While a jeep is more expensive than a bus, my trekking partner and I were glad we opted for the former after hearing hair-raising stories about bus accidents on the rutted, muddy road. We spent our first night in Syabrubesi at one of the many inns there. 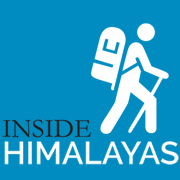 Our first day of trekking took us through a lush forest adjacent to the Trisuli River, to Lama Hotel. There, we stayed at Friendly Guesthouse and enjoyed the humor and hospitality of the proprietors. Our second day took us to Langtang Village itself. 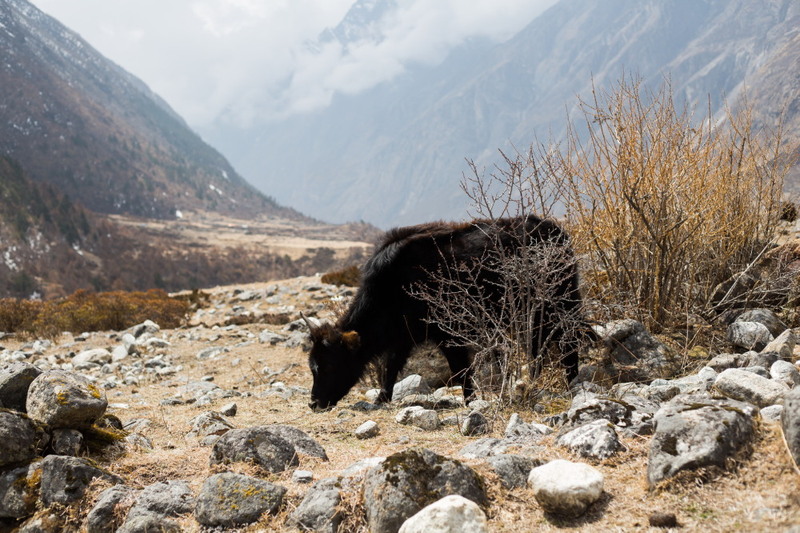 Passing over the former site of Langtang Village was one of the most meaningful parts of the trek for me. Prayer flags honoring the 243 deceased Nepalis and foreigners killed in Langtang dot the land. Our third day took us to one of the highest elevations of the trek at Kyanjin Gompa, at around 3800 meters. 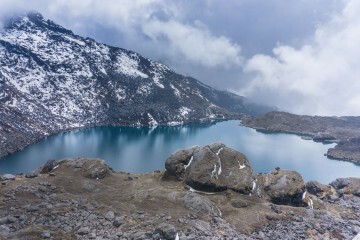 There, we acclimated by climbing Kyanjin Ri (over 4700 meters). Our fourth day began at 5am with a climb up Tserko Ri, standing at nearly 5000 meters. I recommend an early start to take advantage of cooler temperatures, which can be advantageous during the strenuous climb. It took me about three hours to get to the top of Tserko Ri with the help of a guide (guides are recommended due to unclear paths). 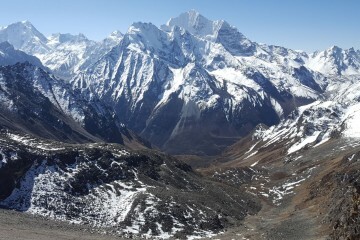 We were rewarded with face-to-face views of Langtang Lirung and other mountains. As we descended into the dark rocks and incense-scented grasses of the hills below, it began to snow lightly and I breathed deeply and smiled. That afternoon our team contentedly ate delicious local nak cheese and dal bhat while savoring the shade of clouds on the mountains. Our final two days of trekking brought us back through Langtang Village, where we hung prayer flags at the new memorial mani there to honor those who lost their lives, and wish good fortune for those who are rebuilding. 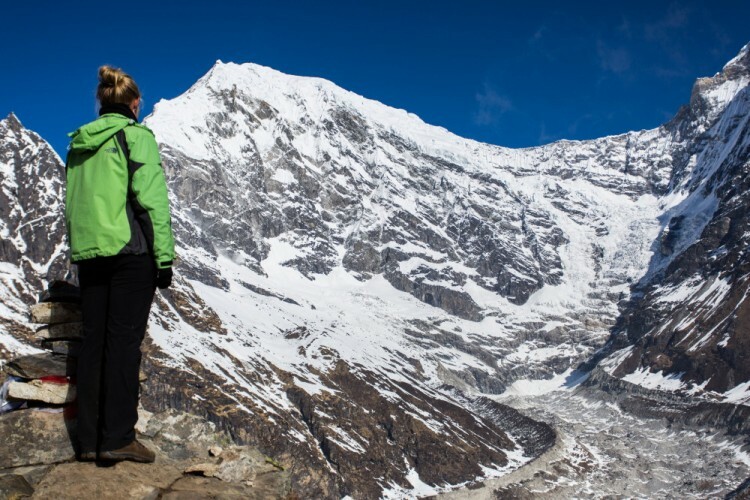 While Langtang is touted as one of the top trekking destinations in Nepal, tourism there has declined since the earthquake. 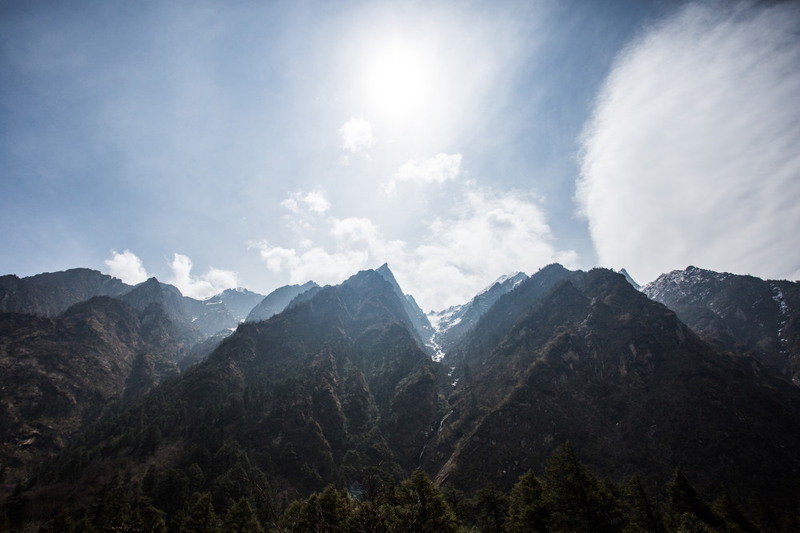 Despite the risks that accompany any trek in Nepal, I am thankful that I went to Langtang. 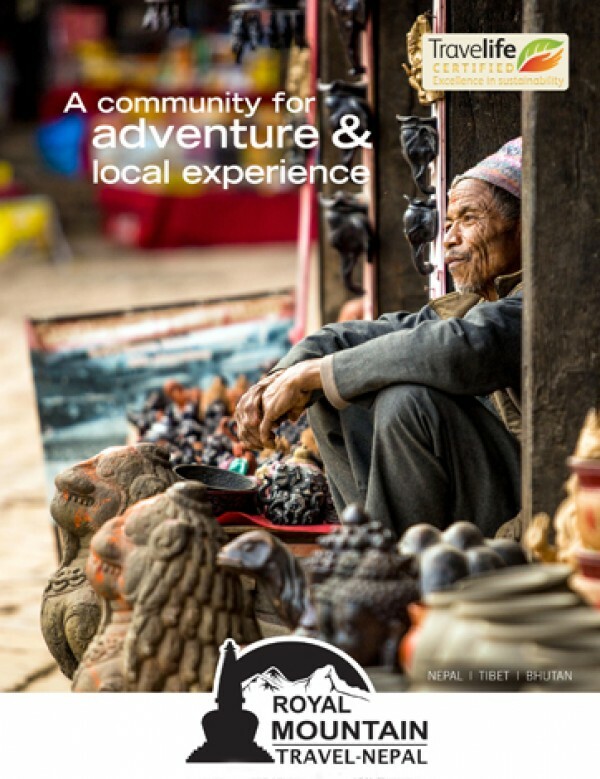 I encourage travelers interested in visiting this beautiful area to take time to learn the stories of the Nepalis they meet on the trail and protect the park however possible. *Note: I recommend Langtang visitors view Kesang Tseten’s recent documentary Trembling Mountain (trailer here) that chronicles the aftermath of the destruction of Langtang Village. At a screening of the film during the Film Southasia Festival in November 2017, Tseten emphasized that the film is not meant to be a promotional tool but rather a mirror to reflect the lives of people from Langtang.